I wish I were home to visit Parville. It enjoys a beautiful prospect and these gardens look magnificent. Parville is situated adjacent to the parish church in Ballabeg and boasts some beautifully landscaped gardens which will be open to view by the public in early July, by kind permission of Mrs. Inga Pettit and the Caroline Pettit Trust. Elevated from the main road and considered to be one of the most attractive landscape compositions on the Isle of Man, this is a rare opportunity to enjoy the recent alterations and embellishments to the gardens. The main garden, separating the house from the road, was originally walled on all sides and likely to have been opened up by the Kelly family at the turn of the nineteenth century. 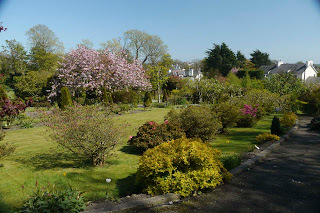 Much of the recent work completed at Parville has been dedicated to the garden, including the creation of walks and new planting by Mrs. Pettit who is originally from Sweden. 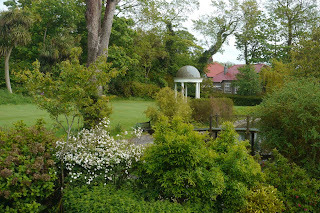 The gazebo was designed by her late husband, Stephen Pettit, and the Edwardian Lodge substantially, but sympathetically extended, using a design created by Anna Begbie from Architecture in Mann. 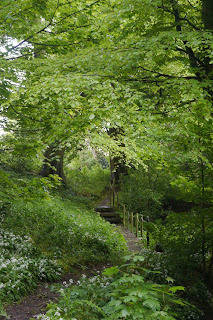 There is much to see here including the stream which has been dammed to create a wildlife pond and beyond, over the bridge, a delightful walk through the scenic Parville Glen. It’s also possible to wander through the colourful Iris Meadow and walk through the wood near the entrance to the main house. New additions include a large wild flower meadow behind the village hall and two active bee hives. Although the house itself is not open to the public it does, nevertheless, have some interesting historical background. Its early history is obscure, although a connection may be had with the Bishop’s Barony in the Middle Ages, but by the seventeenth century the house and adjoining farms were owned by the successful Parr family. John Parr became one of the Island’s Deemsters and wrote the only comprehensive book on Manx law which became known as Parr’s Abstract. Parville then passed through a succession of new owners, including Attorney General John Quillin in 1764. 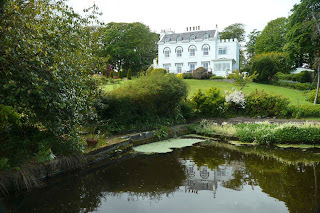 The property then passed down to his descendants in the Quirk family, where it became for some time the home of George Quirk who became both Water Bailiff and Secretary to the Lieutenant Governor. But financial difficulties forced the sale of the estate to the Castletown Waterworks Company, before the Clucas family of Lezayre took over ownership. 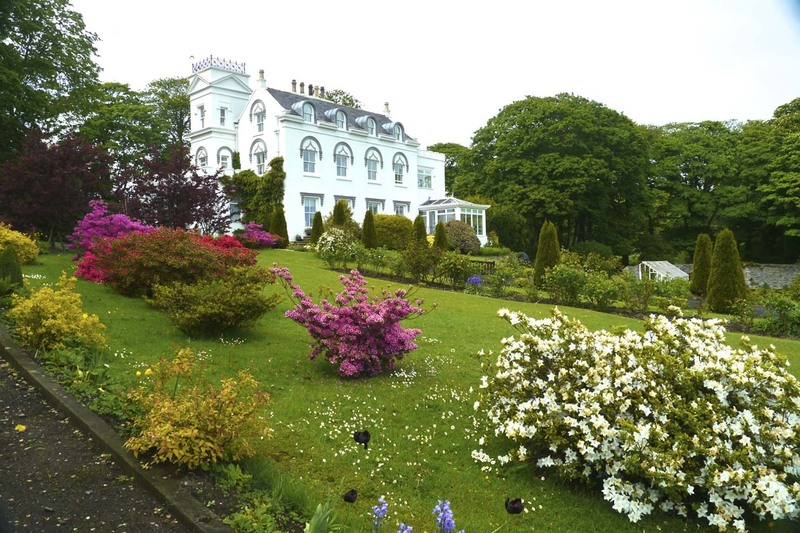 Having plenty of residencies at their disposal the house and surrounding fields were sold to Irishman William Kelly in 1891, and after his departure in 1920 Parville went through a succession of owners before being bought by the Pettit family in 1996. The house had been subject to a number of alterations during its lifetime, not all of them compassionate, but Stephen Pettit began the colossal task of restoration, which is now being continued by his widow in conjunction with the Caroline Pettit Trust. This valuable work is on-going with the design of a Parterre by Anna Begbie in place of a redundant greenhouse and beds of soft fruit, with a new kitchen garden under development in the field above the house.